According to EW, the cans are part of a bigger campaign by the soda company surrounding the anniversary that will also entail events and music, as well as “special edition merchandise.” The executors of Jackson’s estate, John Branca and John McClain, say they hope to “perhaps [celebrate] a Guinness record” (a billion is a lot of cans — don’t forget to recycle, folks). 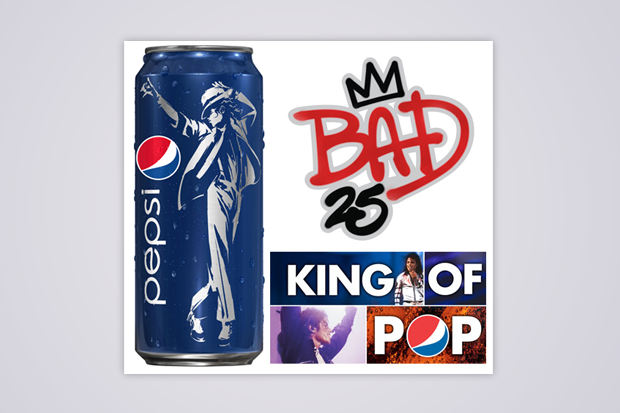 The MJ announcement is just one in a string of recent Pepsi branding deals. They’ve hooked up with Katy Perry for her upcoming 3D flick and with Nicki Minaj for her Jetsons audition a commercial campaign. A whole new Pepsi generation, it would seem! See you in three years for those limited edition MC Hammer cans!